Alliance Broadband, one of the leading broadband providers in Kolkata and West Bengal, has finally brought Gigabit Fiber Plans for its customer base. This is the first time some broadband provider is bringing truly unlimited Gigabit Speeds without any FUP Limits via Optic Fiber and GEPON. The new tariff plans will be available from 15th April 2018 Onwards and should replace the old tariff plans. If sources are to be believed, then the high-speed internet plans are going to be available from 50Mbps and go straight up to 1Gbps. Well, while the cost of the 50Mbps Unlimited plan is just Rs500, the Unlimited 1Gbps plan is costly af, at a whopping 13k. However, those who can afford it or need it for office purposes, they are worth it. Also, there are a lot of plans in the middle ranges with reasonable pricing. The complete details of the plans are given in this post. Keep following. Finally, Broadband Revolution in Kolkata. If you always looked at popular high-speed broadband providers of New Delhi, Bangalore and Chennai such as Excitel or Act Fibernet and wished for such high speeds in your hometown, then, finally your wish is going to be fulfilled. Alliance Broadband is here to your rescue, with blazing fast unlimited internet plans that will change your internet experience forever. Those who are already using Alliance Broadband know that Alliance Broadband kept on increasing their tariff plan speeds every year for the last 3 years while keeping the prices same or similar. Talking about my plan, When I joined alliance broadband, I used to get 2 Mbps speeds (Prime Plan) for around Rs600, back in 2014 and that soon increased to 4Mbps in 2015. Later that year, they changed all plan names (Prime+) and made the speeds 10Mbps with a revised tariff of similar pricing (Rs650). That doubled to 20Mbps in 2016 and again doubled to 40Mbps in 2017. And now in 2018, it finally doubled again to 80Mbps, with that same price of Rs650. Can you imagine my journey? So why such a revolutionary speed increase? Well, there are factors to consider here. Firstly, Upgrading the existing Broadband Cable to Fiber Optic Cables really made a huge difference as the later could carry a huge amount of data with lower costs. Now a lot of broadband providers are switching to Fiber Optic cables. Alliance has started it since last few years and gradually deploying it throughout their all serviceable regions. Secondly, Combating Competition. Jio has already disrupted the telecom market with their dirt cheap plans and is building up their own JioFiber to revolutionize broadband plans. Alliance saw this coming and starting preparing itself for it so that it can give a tough market competition. Thirdly, The need for a truly unlimited cheap broadband provider. 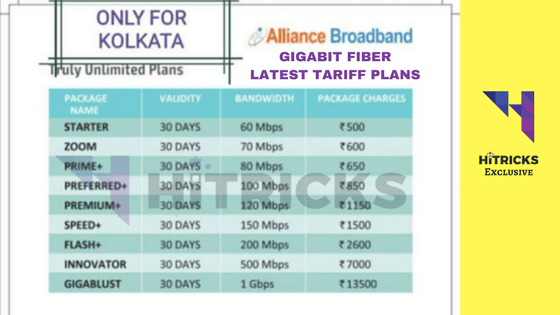 If you check the existing broadband rates for different providers in Kolkata, none provides broadband in so cheap rates, and even if some do, most of them have FUP limits that ruin the experience completely. Finally, we will get to experience speeds like popular companies operating in New Delhi, Gurgaon or Chennai etc. Fourthly, Lack of Gigabit Broadband Providers. There are always users who are ready to pay as much as needed to get the highest speeds possible. Many office spaces etc require huge bandwidth and for them, Alliance 1Gbps plan is just perfect. It’s costly, I agree, but finally, you get the service, right? At the current moment, Alliance Broadband is able to provide unlimited broadband plans without FUP limits. And having used it for years, I can assure you that I am getting to use the same speeds throughout the month. I have Fiber Optic, hence my speeds are close to the mentioned tariff plans, without any sort of network disruptions. So, I must say, Alliance Broadband is good to go solution for anyone who needs good speeds at reasonable prices. Let’s check out the plan details. Alliance Broadband operates in the entire West Bengal, and so has different plans for Kolkata and R.O.B. Circle. And for each of these zones, it has two types of plans: Unlimited NO FUP Plans and Limited FUP Plans. Now, I don’t see why they have kept the Limited FUP Plans, and whether they have any customer for the same, as the plans are way costlier and not at all value for money compared to the Unlimited Plans. The Gigabit Fiber Plans are specifically for Kolkata Circle (and not ROB Circle). But many places under ROB (like Krishnanagar, Kalyani etc) offers data as per Kolkata Circle only. So, these Fiber plans apply to them too, provided they have deployed Fiber Optic cable over those regions. Note: The Tariff Plans are Exclusive of 18% GST. Again, I should remind you, the unlimited plans are way cheaper and provide more value than these limited plans. And I have no idea why Alliance is still keeping these plans. Anyways, just listing them out for the sake of information. I urge you to not to take up these plans. Q: Are Alliance Broadband Fiber Optic Plans available in my Region? Ans: If you stay in Kolkata, most likely, your region has got Fiber Optic. It solely depends on whether your Local Cable Operator (LCO) has deployed Fiber Optic in your region. Just reach out to your Local Cable Operator that provides Alliance Broadband. Call 18001200300. Q: How to Apply for a New Alliance Broadband Connection? Ans: Just Call 18001200300 and give your address details over there. They will check and tell if service is possible in your area or not. Q: I am an existing Alliance Broadband User but not getting as much speeds as you mentioned. Why? Ans: Most likely you are using regular broadband cable. Regular cable cannot handle speeds over 100Mbps. You should upgrade to Fiber Optic. That will unleash the potential of truly unlimited high-speed broadband plans. Also, Fiber Optic ensures that your connection never drops, no matter there is rain or thunderstorm or anything similar. So, you won’t face any network disconnection issues on Fiber Optic. Q: How to upgrade to Fiber Optic from my existing Alliance Broadband Connection? Ans: Just call your LCO and ask for availability of Fiber Optic or GEPON. Most likely they will say yes. Remember, you need to pay installation charges for fiber optic separately. Q: What are the installation charges for Alliance Broadband New Connection? Ans: For most of the areas, for regular broadband cable the installation charge is Rs750 and for Fiber Optic Cable the installation charge is Rs1500 to Rs2000. It varies. 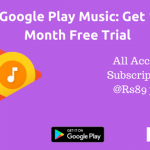 Some people were lucky enough to get it under Rs500 or also for free. You just need to ping your LCO for that. Q: Do you provide Wifi Routers? Or I need to buy my own? Ans: By default, Alliance Broadband does not provide any Wifi Routers. You are welcome to install any router of your choice. You can get the settings from your ISP and set up your router yourself. However, if you don’t have a router while taking up a new connection, your LCO can help you get a router. Q: How to pay for your service? Do you accept online payments? Ans: You can pay cash at LCO office or Online using Alliance Broadband online portal. PayTM is accepted. Q: Will I get payment receipt? Ans: Yes, as soon as payment is confirmed, you will get the receipt from your Account Login Page. Q: Is there a login/logout system? Ans: Yes, there is. You will get a unique IP for logging in and logging out. Every time your internet disconnects, you need to log in using your password. Q: Do you provide dynamic or static IP? Q: My Local Cable Operator does not provide Alliance Broadband. How to get your service? Ans: You can ask your nearest Alliance Broadband provider to provide service to your location. In my case personally, my LCO didn’t provide Alliance Broadband, so I pinged my nearest Alliance Broadband provider, and they took 3 months to provide service. I had to repeatedly request them to provide service to my location. But, in the end, it was worth the wait. Q: Do you have a Toll Free Number? Q: Do you have an Email ID? Q: Where is your head office located? Here’s Alliance Broadband Contact Us Page Link. That’s all folks. I guess I was able to answer all your queries regarding Alliance Broadband and their latest tariff plans. Don’t forget to share this post with your friends so that they get to know about this update and switch to better broadband plans. Use the social share buttons below. yeah, be happy enjoy ur Kol. plans. It’s really doesn’t justify by the plans we ROB get considering we pay more money than all u Kol. user’s does. We get neglected & the services gets worse every passing day. I hope Jio doesn’t follow this stupid discrimination trend like Alliance does.